The PGA Tour is setting up shop for a second-straight week in the Lone Star State with this week’s Houston Open. The field teeing it up at The Golf Club of Houston is top-heavy, and is headlined by world No. 4, and Texas native, Jordan Spieth, along with No. 5 Justin Rose, No. 8 Rickie Fowler, No 15 Henrik Stenson, and No. 18 Phil Mickelson – all of whom comprise the five clear favorites. 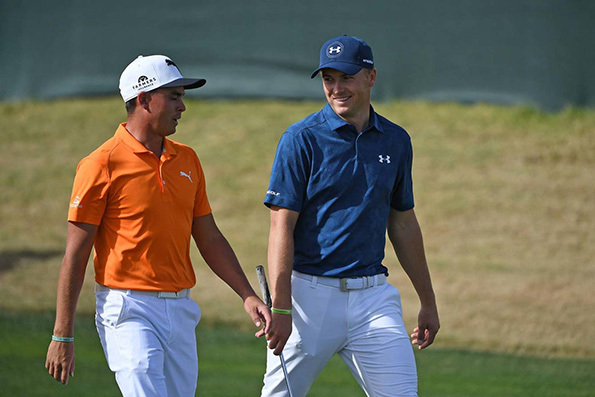 Rose and Fowler are listed at 10-1, while Stenson, Spieth, and Mickelson have odds of 12-1. No one else in the field is even close, with Daniel Berger and Luke List offered at 25-1. Several big-name players, who need a win to get into the Masters, and offer nice payouts, include Steve Stricker (40-1), Keegan Bradley (50-1), Charles Howell III, Bill Haas (66-1), Brandt Snedeker (66-1), Ian Poulter (80-1), and Lee Westwood (125-1).